Loufes 017 An annual music festival taking place is St. Louis’ Forest Park, Loufest is a rapidly growing festival that brought in over 60,000 music enthusiasts this year. 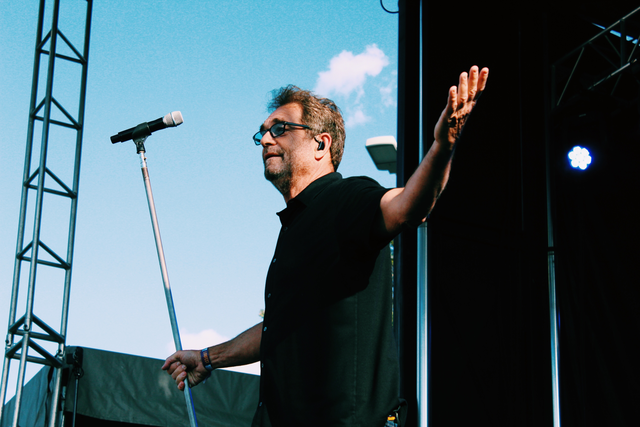 With headliners such as Snoop Dogg, Weezer, and Cage the Elephant, it’s easy to see why this festival attracted such a massive crowd. With a loyal following, a killer lineup, and that oh-so familiar feeling of community in the air, this festival is one you’ll definitely put on your 2018 schedule. The set up at Loufest was exactly what you may imagine a music festival looking like; 3 large stages, a ferris wheel, festival wear, and bubbles floating through the air at any given moment. Loufest was an avid festival-goer’s dream, and with a cool breeze and 80 degree weather, what more could you ask for? One thing I always love about music festivals are die hard fans. I’m always so inspired by people who are willing to wait all day to be right up front to see their favorite artist. Being in the photo pit, these people become your new best friends. There’s always a great story and a face smiling ear to ear on that front row, and that’s the truly magical thing about music! One of my personal favorite performances this weekend was Marian Hill. You may recognize Marian Hill from their song “Down” which has appeared on a recent Apple commercial, or “One Time”, a popular hit in 2015. I’m not sure if it was lead singer Samantha Gongol’s enticing vocals, her killer dance moves, or the velvety sound of the saxophone, but Marian Hill had their audience completely captivated. 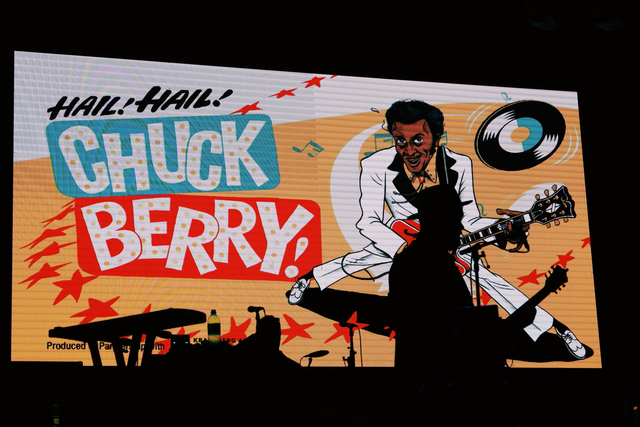 An unexpected favorite from this weekend was a tribute to Rock and Roll legend Chuck Berry. During this performance almost every band performing at Loufest got on the stage to pay tribute and feel the music. One final act I’ll mention (before I get too carried away..) is one that I was looking forward to all weekend, and yes it was just as amazing as you’d expect. Snoop Dogg’s performance brought in the biggest crowd of the weekend with a shocking 30,000 people. Snoop Dogg walked onto the stage to “California Love” and the massive crowd roared, his performance was a popular festival favorite, and was incredible to witness. LOUFES a estiva it omethin o veryone, n op e o her n 2018!